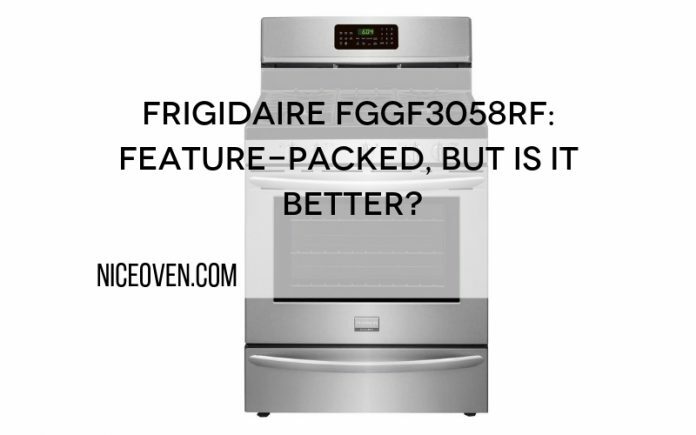 Home Nice Ovens Frigidaire FGGF3058RF: Feature-Packed, But Is It Better? Looking at the bells and whistles promised by the Frigidaire FGGF3058RF makes me wish we were back to a time when things were simpler. A time when cooking just meant preparing the ingredients and then putting a pot on the stovetop. You didn't have to worry about BTUs, self-cleaning features, and complex settings. You just baked and cooked the way you want. Now with MasterChef Jr. showing us that even kids can make cooking an art, we have come to expect more from our stoves and ovens. The Frigidaire FGGF3058RF wants to fulfill our expectations and be the gas range and oven you use to cook culinary masterpieces. 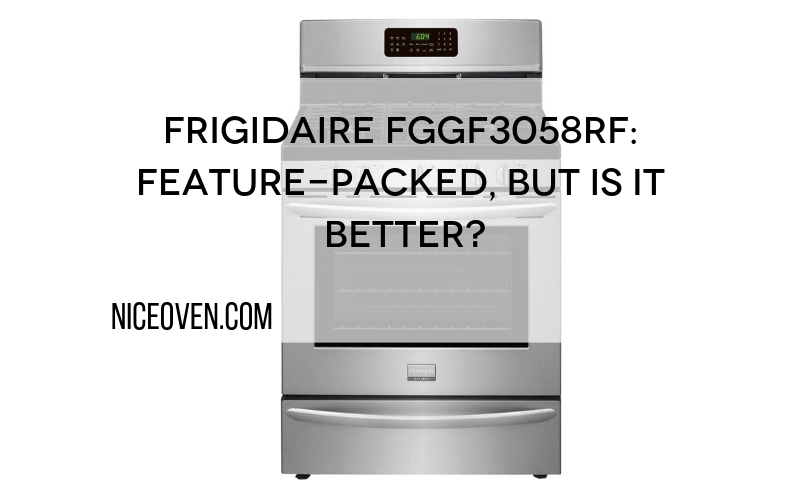 Should You Buy the Frigidaire FGGF3058RF? Frigidaire might be more closely associated with refrigerators and cooling appliances, but the company also claims to be the first one to release a compact 30-inch electric range in the 1950s. 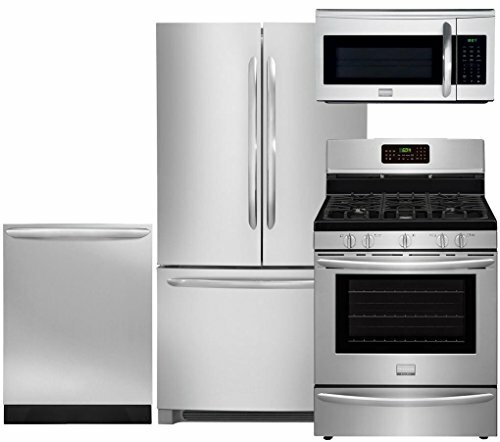 Over the years, Frigidaire has coming out with ovens for every kitchen and every budget. The company has packed the features into the FGGF3058RF. It has a convection oven that promises to deliver uniform heat to cook your food evenly. The Frigidaire FGGF3058RF has a variety of cooking modes for you to choose from, allowing you to prepare a pizza easily or to do some convection roasting. You can even use a probe that you can insert into the oven wall allowing you to determine the temperature of the food being cooked. It can also clean itself. In short, the Frigidaire FGGF3058RF has some of the features that you would only usually see in ovens that are more expensive than this one. The Frigidaire FGGF3058RF promises more even baking with its third heating element that is built close to the convection fan. The convection oven will adjust the temperature on the fly to maintain even temperatures throughout. In theory, this mechanism means that if you bake multiple racks of cookies, each one will come out perfectly no matter where you put them. What else does the Frigidaire FGGF3058RF offer? 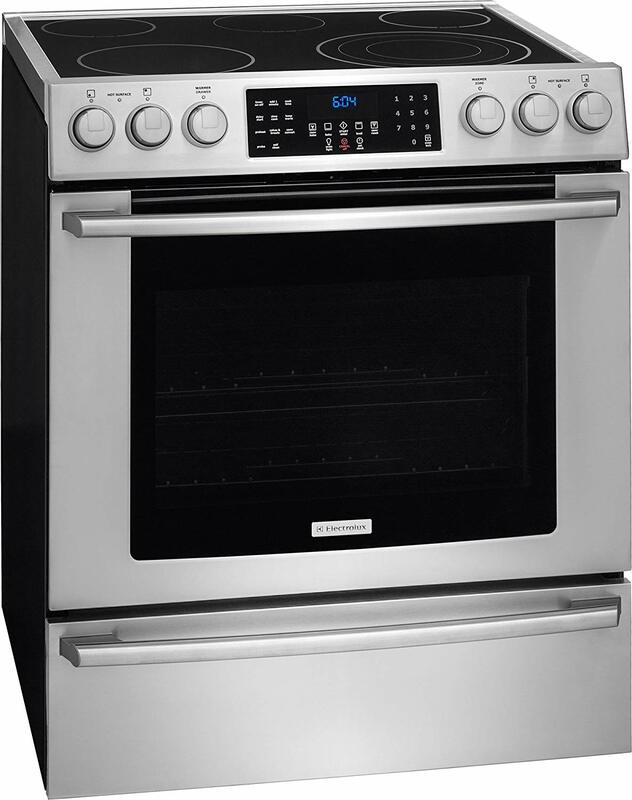 The Frigidaire FGGF3058RF gives you five surface burners and a convection oven for baking. These burners have different heating capacities ranging from 5,000 to 18,000 BTUs. If you need a faster boiling time, use the right front burner that can heat things up the quickest. Meanwhile, the right rear burner has only 5,000 BTUs of power, making it a good choice for simmering food. It is easy to see that Frigidaire meant this model to be very flexible. Not only do you get varying degrees of heat from the stove top burners, but you also get a variety of cooking modes. You can cook food more evenly with convection cooking. The three convection settings include regular convection, baking, and roasting. You can also broil meats and prepare frozen or fresh pizza. You can do all these with just a few button presses. 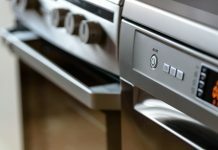 The full list of cooking modes offered includes Effortless convection, convection roast, Effortless temperature probe, bake, broil, rapid preheat, keep warm, Sabbath mode, Even Baking Technology, Vari-Broil with two temperature settings, True Convection cooking system, convection conversion, and convection bake. The oven also has touchpad controls that you can use to adjust the settings or set the cooking modes. What's more, you can easily measure the temperature of the food you are cooking by using the probe. You can see the readings on the touch panel. Speaking of the probe, you can also set the oven either to stop cooking once your desired temperature has been reached, or to continue. The Frigidaire FGGF3058RF also features quick preheat, which allows you to preheat the oven in just minutes. It is also self-cleaning. All you have to do is to schedule the range to clean by itself. You can also set it to run for as long as four hours if you need more cleaning done. Furthermore, this oven also has a stainless steel body that is smudge resistant. You no longer have to worry about getting fingerprints on the stove, plus it also cleans easily. While the manufacturer made sure that the Frigidaire FGGF3058RF has some excellent features, they did not spend as much time on the freestanding range's design. Nothing about this model's design is particularly revolutionary. Regarding aesthetics, the Frigidaire FGGF3058RF is pretty much run of the mill with its stainless steel body. The good news is that the average freestanding oven is not ugly. So if you say that the Frigidaire FGGF3058RF looks average, then you can expect it not to be an eyesore. The company may have given the FGGF3058RF a stainless steel body like all other gas ranges in its price range, but they also made it smudge-proof. It measures 48.5 inches by 29.9 inches by 29.3 inches. Also, the gas burners are covered by iron grates, giving them a premium look while also holding your pots and pans in place. The Frigidaire FGGF3058RF gets very dismal ratings on Amazon, with customers dissing it and giving it 2.2 out of 5.0 stars. Some of the negative reviews from Amazon customers state that the gas range scorches everything they cook and that the oven does not deliver even cooking, contrary to what the manufacturer claims. Another reviewer laments that the FGGF3058RF cannot keep a consistent temperature. However, reviews are the opposite over at BestBuy.com with customers giving it a rating of 4.7 out of 5.0 stars. Reviewers cited the many features of the Frigidaire FGGF3058RF as well as having the option to use a standard and a convection oven in just one appliance. 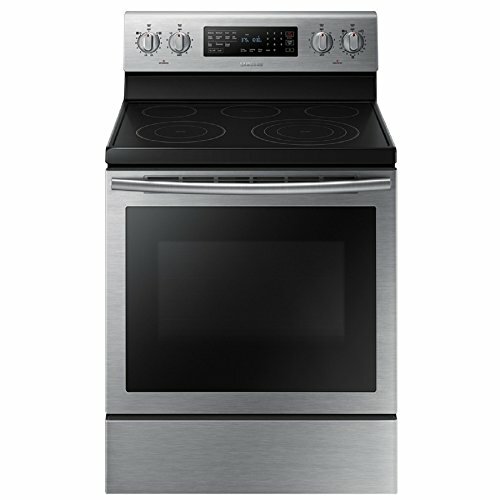 Lastly, CNET.com gave the Frigidaire FGGF3058RF a 7.3 out of 10.0 stars rating. To come out with this review, we relied on the product manual and information brochure that the manufacturer provides. We also checked out the online retailers such as BestBuy.com and Amazon.com, as well as the opinions of credible review sites such as CNET.com. It is not surprising that the Frigidaire FGGF3058RF has a lot of competition from different freestanding ranges and ovens from different competitors. How does it compare to the Samsung NE59J7630SB, the Electrolux EI30EF45QS, and the GE JGB700SEJSS? The Samsung NE59J7630SB has a variety of cooking modes that users would love. It is very fast when it comes to broiling and boiling. It has a 5.9 cubic foot oven, as well as four burners. However, it is not perfect. For instance, the oven is sometimes quite unpredictable and is not always the best way to cook your food. Also, it has a very common and traditional look that does not make it stand out when placed alongside other ovens. Nevertheless, if you want an affordable range that has a lot of features, you should consider this one. The Samsung NE59J7630SB is available from online retailers with a range in price. It got a rating of 7.7 out of 10.0 stars from CNET.com. This oven measures 29.9 inches by 47.1 inches by 26.0 inches. The burners deliver either 1,200 watts or 3,000 watts of heating. 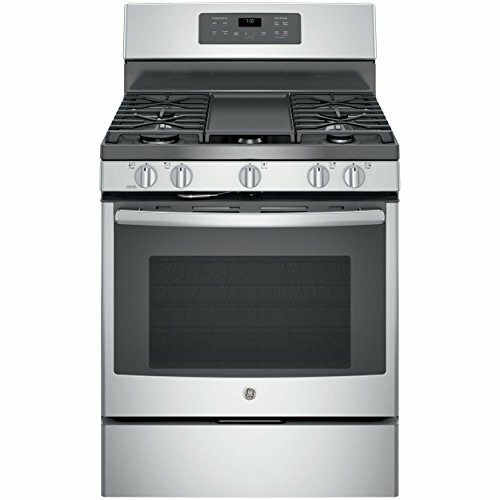 Compared to the Frigidaire FGGF3058RF, the Samsung NE59J7630SB has fewer burners, but it also has a bigger oven space. Has a variety of cooking modes. The constant clicking noise drives some people crazy. The Electrolux EI30EF45QS delivers if you want fast and consistent cooking. It is also notable for its looks, which gives your kitchen a premium upgrade. This oven also bakes evenly when you use multiple racks. It also has several options for self-cleaning. The Electrolux EI30EF45QS has five electric burners on top and a 4.6 cubic foot oven. However, the Electrolux EI30EF45QS is more expensive than the Frigidaire FGGF3058RF. Prices for this oven range from $2,108 to $2,650. It also has a smaller oven than the other models we have here. The Electrolux EI30EF45QS gets a rating of 2.9 out of 5.0 stars from Amazon customers. CNET.com, however, gives it a rating of 8.3 out of 10.0 stars. Bakes evenly even if you use multiple racks. Some reviews say that the burners don't last long. The GE JGB700SEJSS is notable for its lower price and consistent cooking. 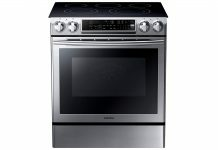 With a rating of 8.1 out of 10.0 stars on CNET.com, prices for the GE JGB700SEJSS ranges from $693 to $847. This oven is made out of stainless steel and can cook your food rather well and consistently. It has some nice features, including a convection fan and integrated griddle. Furthermore, the GE JGB700SEJSS has five burners on top, including an oval burner at the center of the stove top. It also has a 5.0 cubic foot oven. However, the lower price means that some features are missing from the GE JGB700SEJSS. For instance, this oven does not offer you very many cooking modes and has a somewhat traditional look. The GE JGB700SEJSS may not have a lot of flash and features, but it does cook well, which is what a range is meant to do in the first place. 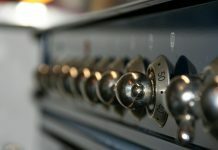 Compared to the Frigidaire FGGF3058RF, the GE JGB700SEJSS has the same number of burners, with the same continuous grates, as well as a range of 5,000 to 18,000 BTUs. It also has the same baking space at 5.0 cubic feet. Some reviews say that the glass on their oven broke easily. At less than the price of other ovens, you can get behind the idea of having a freestanding oven that looks and functions like some of the more expensive brands available now. It certainly has some features such as the cooking modes it offers and the food temperature probe. Furthermore, according to CNET.com's testing, the Frigidaire FGGF3058RF does well at boiling water, having the third fastest time out of the gas ranges they tested. When it comes to burger broiling, the Frigidaire FGGF3058RF took quite some time in cooking six patties. It had the slowest time save for the LG LRG4115ST. The biggest disappointment, however, is in baking cookies. The heat going around the oven was not even, resulting in some being overdone while others were undercooked. Further, it would seem that the Frigidaire FGGF3058RF keeps on falling short in what it promises to do. Sure the oven and gas range has a lot of excellent features, but it fails to live up to its promised uniform cooking. You cannot even cook a batch of cookies evenly. The hype of having no fingerprints on your stove top's stainless steel body was also a bit of a disappointment. Over time, you will find that there are smudges on the steel that you will need to wipe down. If you think about it, the cooking options are merely temperature settings and do not involve any advanced technology. It is more of a convenience than technological innovation. What's more, the cooking options you have are set via the touchpad controls. However, you might find it confusing because one button is used for different functions. For instance, one button allows you to set the oven to cook using the convection roast and the convection bake modes. Some of the settings and controls are also difficult to remember. If you are going to buy the Frigidaire FGGF3058RF, you should keep the manual handy. If you lose the user manual, you might not even remember how to use some of the oven's settings. The good news, however, is that the manual is available online. You would undoubtedly appreciate the features that Frigidaire included in the FGGF3058RF. It is a good option for people who are looking for an oven that is affordable and has a good set of features. However, you should remember that the Frigidaire FGGF3058RF might disappoint. It would seem that the manufacturer focused on adding features without ensuring that the oven does its job. If you think about it, the primary task of a stove and oven is to cook your food, and the Frigidaire FGGF3058RF gives a somewhat lackluster performance in this area. We are not saying that the Frigidaire FGGF3058RF fails in every way. You can get a perfectly heated frozen pizza, and you can boil water fast. Roasted chicken can look very tempting as you pull it out of the oven. But other ovens cook better, deliver more uniform temperatures, and might even have a more affordable price than the Frigidaire FGGF3058RF. Previous articleThe Samsung NX58F5500SS Oven: Is It The Right Oven For You?